I listened to those words during one of the worst periods of my life. I took up jogging as a way to separate myself from everything that was happening in my “real” life. I’d enjoy the scenery and listen to tapes as a way to try and improve my mindset. As I was running around my neighborhood, I plugged into Tony’s words and listened over and over again. He went a little further. Wow. I sat there in total amazement. Was he telling the truth? Could it be? Could the entire blueprint for life be carried by mentors, by people older than you? People who have “been there done that?” And yet we let all of that knowledge pass us by? Of course, it’s a little more difficult than that. True, we all have blueprints of our lives, which lay out what we’ve gone through to find success. But things change. It’s the stuff that gets in our heads that sets us apart. Yep, we’ve all been there. It’s not that the book changed, it’s that you changed. You aren’t the same person at forty-something that you were at twenty-something. And all that knowledge, experience and crap adds up over time. Still, is it possible for someone to guide you along and show you what’s possible? When I first heard the photographer from above speak, I was overwhelmed. But I was different. We were in the midst of building a thriving photography business, and I was hungry enough to give anything a try. So I bought into his program. I followed his advice. And in less than two years we became one of the most successful wedding photographers in the country. And who was once a photographer I was in awe of up on the stage, became a mentor and a friend I worked with again and again. The saying goes, “fake it til you make it.” I would tell you that’s only partially true. Because you can believe you’re the best “fill in the blank” in the world, but until you take action to make it so it will never be. I think that’s where Tony’s advice to “copy” from above is right on the mark. When we were first starting out in the wedding photography business, we “saw” who we wanted to become. So we purchased his books, his posing guides, every video he produced, every training manual he created. We went to his seminars and followed him to the various organizations and associations in the industry. If he did it, we did it. We followed. We learned. Until eventually it became second nature. Until eventually, when we were in the middle of “copying,” we asked – what if we did it this way instead? And it became our own way of doing things. We developed our own style, our own personality, our own signature traits. The greatest form of flattery is to have someone else copy you. Don’t worry about them copying too much. Because you’ll already be miles ahead, developing new things, while they’re stuck in the back mimicking all you are doing. Seeing is believing, or so the story goes. But that idiom was based on the belief that only physical or concrete evidence can convince you something is true. A million dollars isn’t possible unless it’s in your bank account. A loving relationship isn’t possible unless you find prince charming. 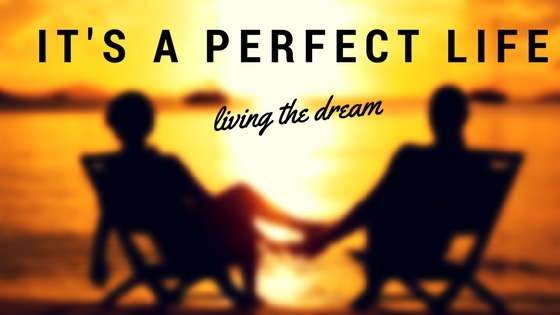 The perfect lifestyle isn’t possible because … well, is it ever possible? There are two different kinds of paths people take in life. One chooses the path that allows them to react to things as they happen. Everything is performed in reaction to some other event in their life. The other one chooses the future. They SEE who they choose to be and they only accept things into their path that will keep them on track. They say NO to side roads that can lead them astray. Having vision allows you to establish who you will be long before you get there. It allows you to channel your energy into the right places instead of being sucked up into useless avenues that have no meaning to you. It helps you stay on track in good times and bad, always knowing you are who you are, and you’ll only do the things that give that more meaning. 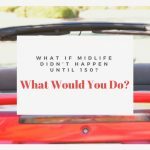 Midlife is filled with doubts and regrets and desires and changes. We reach a point where we look behind us and realize we didn’t quite get what we were going after. There’s a lot of failures left in the wake. And it doesn’t even have to be big failures to count. It can simply be a matter of missed opportunity. We always thought we’d do “fill in the blank,” but now it’s simply too late. We fill our minds with ideas that we’ve reached a point where we no longer can do the things we most wanted to do. And while I’ll agree if you’ve wanted to become a prima ballerina, if you’re forty-seven you might have difficulties. But that doesn’t mean you can’t do other things. Like, open a dance studio. Like, become a VIP sponsor of your local ballet. Or dance in community theater. We put on dark glasses that only provide us with a look in the rearview mirror instead of updating the prescription and seeing what can be in the future. There are always options. There are always things you can be. I would argue that success is simple. 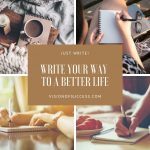 Creating your perfect life is easy. But it’s all the crap that we let get in the way. You can take the difficult path. Or the easy one. You can find a way to bring one small idea to life by setting your intentions and following through with action. Or you can continue down the same old path you’ve been traveling on for days, months, or even years.